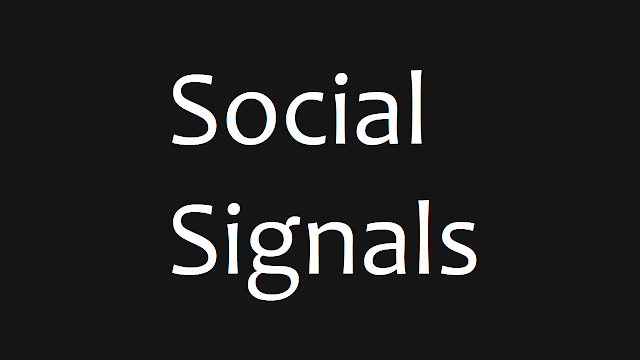 What Are Social Signals and How Do They Improve SEO? Search engine optimization is extremely important if you want to see your website rank on the first page of results in Google, Yahoo, or Bing. Using target keywords and rich content within your site is one way to draw more traffic and generate more leads. Yes, optimizing your site means more views and increased traffic to your products and services – however, if we step aside from traditional SEO strategies and techniques, you’ll find that social media has become a large way for businesses to expand their brand. Millions of people use social media platforms every single day, which is why you need to start using if you haven’t started already. Social signals help SEO and can take your brand to new levels. Here is what you need to know! It’s clear that social media has become an important way for companies to reach out to their customers and targeted audience. Putting your brand on networking sites is a great way to establish an online presence separate from traditional SEO. Any of these human interaction metrics help measure the popularity and impact of a piece of content. They are used on platforms like Facebook, Instagram, or Twitter and indicate that your brands are being talked about and viewed by consumers. It’s important to use these metrics effectively as they are viewed as trusted recommendations by search engines which could really improve your SERP ranking. When using them correctly, they can bring several benefits like reducing bounce rates and attracting more views to your website. Customers can share your posts, videos, or pictures opening doors to a whole new audience. There are many reasons you should get serious about social signals and take advantage of the benefits that they bring. They work as a major driving factor for SEO, resulting in a stronger online presence, brand awareness, and increased traffic. When working with social media, there are two main elements you need to consider: onsite and offsite factors. Onsite elements are social signals on your own website, including share buttons and blog posts.Offsite elements might include a Twitter account, a Facebook page, or a LinkedIn company page. At the end of the day, you want to make sure you are engaging with your customers through engaging, interactive content. Incorporate polls, videos, images, or contests to bring back positive feedback. A typical SEO audit is an analysis of your website – it tells you if there are any broken links that need to be fixed, what pages people are visiting most, how often they’re visiting, and much more. So how do you do an SEO analysis of your offsite social presence? Luckily, most social media sites offer free analytics tools – Twitters is especially robust. But instead of taking a hunt-and-peck approach to social auditing, it’s easier to use an SEO checker that puts all of your social signals in one place. This way, you can see how your site pages are performing across the web. An SEO analyzer can also give you ideas for social content by showing you what your most popular articles are. Tracking social signals is a great way to see how consumers are engaging with your brand. Using an SEO checker andother website analysis tools to see what’s working and what’s not. These tools can also help you keep track of consumer sentiment, or how people generally feel about your brand. Social signals are just one of the many factors search engines like Google use to determine the ranking of your site. Likes, shares, or views are important, but don’t get so caught up in the social scene that you lose sight of other fundamental SEO practices like maintaining fast site speeds, keyword-rich content, and providing a good user experience on your website.